Join us for the Fall regional in Langhorne Pennsylvania. October 19th-21st 2018. 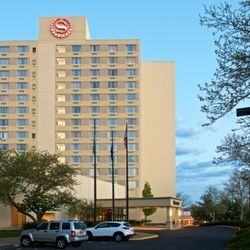 Liberty chapter will be hosting the event this fall at the Sheraton Bucks County Hotel in Langhorne Pennsylvania. The weekend will be jammed packed with workshops and things to do. Dr. Bober and Dr. Mackenzie are both coming to present a workshop. The hotel is across from Sesame Amusement Park and Oxford Valley Mall. Room rates will be $145 per night plus tax and free self parking. Please note you must be a current /paid member of the LPA in order to book your room and register for the conference. Registration details will be available on this sight by the end of August early September.